Beautiful quill brush made from pure Kolinsky red sable hair with naturally lacquered handles. 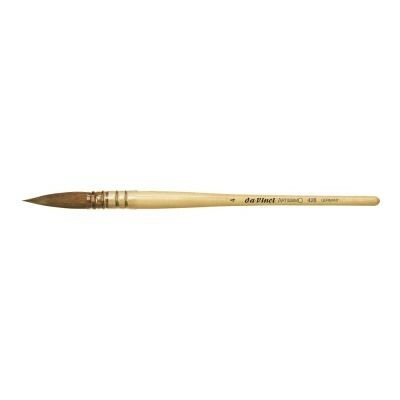 Especially ideal for watercolour and calligraphy. 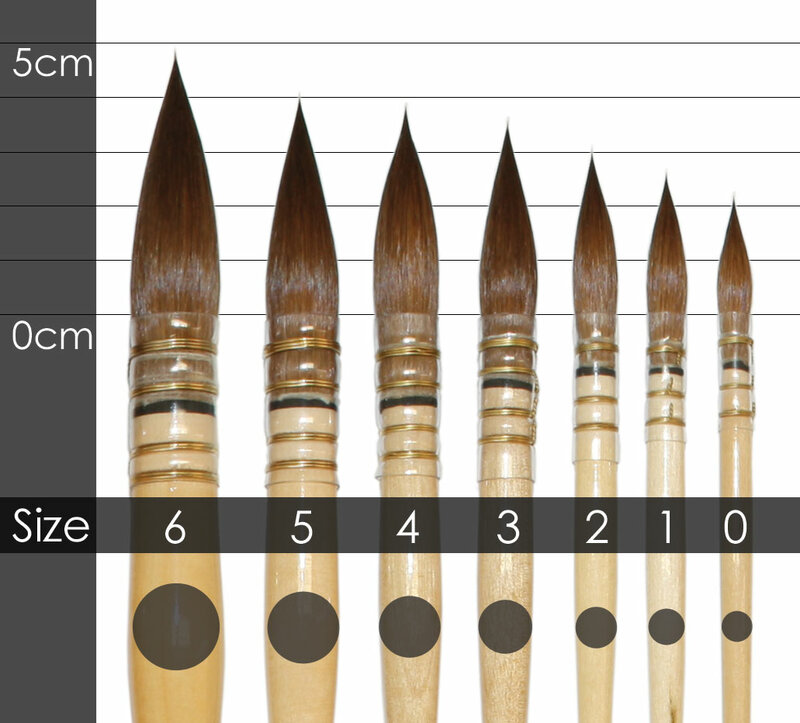 Quill mops in general are versatile brushes for watercolor. 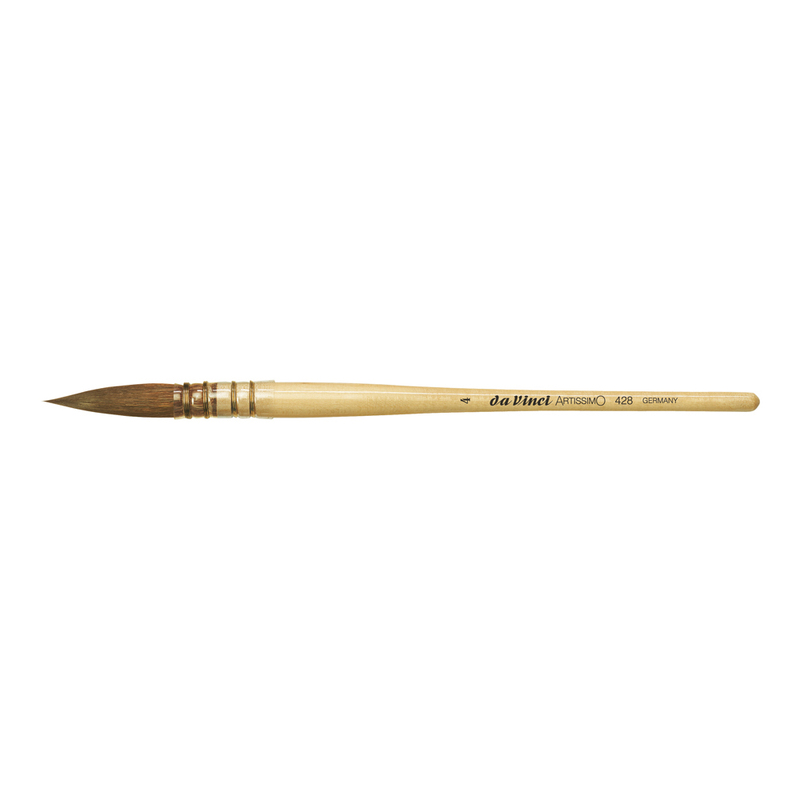 DaVinci's Artissimo Sable Quill are the most versatile brushes I own. With a large belly they hold an almost unlimited supply of paint. The extra fine point combined with sable's superior snap allows for extremely fine detail. I often complete an entire painting with only one sable quill. I already had Artissimo series 44 #2 and was more than happy with it. size 2 (about equivalent to size 10-12 in rounds) was the biggest back then and I wanted bigger - which #3 S428 is (about size 12-14 in rounds). Unfortunately it is not significantly bigger as I hoped for. I should have bought #4. Anyhow, the tuft has huge capacity, snap is perfect and the point is very sharp. At less than half the price compared to any good brand round equivalent - this one i a bargain (even though it would be even cheaper in Germany - but German online stores are a nightmare to order from, and they only send via UPS, DHL and alike which is far more complicated and more expensive in comparison to Royal Mail). The quill is plastic, but the good news is - it does not crack!